Big dilemma! Which one should we sponsor? It's going to be a difficult choice, hoping you all will help us! 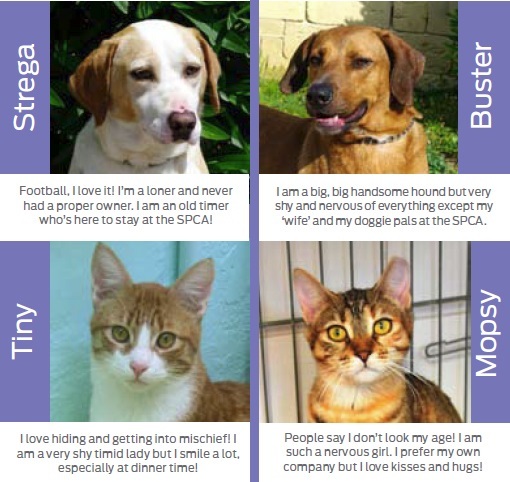 So, which of the 4 dogs and one cat should we sponsor? Wish I could vote for all 5 because they all look so sweet, but since that's not possible, I vote for Tiny. Here's hoping they all find good homes & get lots of TLC. Very nice of you! I wish you could sponsor them all! If that's impossible, my vote goes for Buster. Tiny's eyes pierced my soul. The dogs are all gorgeous but.... that's Tiny I choose. I'm happy for Mopsy! I can't believe that Malta seems to have deteriorated so much in its animal welfare. My disabled husband and I spent a lovely week in Malta in 2006 and were really heartened to hear from a lovely woman who worked from our hotel that cats and dogs were treated very well as Malta had a programme which looked after strays and neutered them for re-homing. This lovely lady actually was looking after a stray cat and her six kittens in the hotel grounds and took them home a week after we left the island after a dreadful thunderstorm and successfully reared and re-homed the kittens and brought back to the UK the mum cat after neutering her who has settled in extremely well. More of a cat person (obviously) than dog but would sponsor Tiny and hope that things might change back to when we were there. Must also say that there didn't appear to be any stray dogs about then - what has happened??? I've lived in Malta since 1996 (with a 4 year "break") and the SPCA has definitely improved a lot in recent years, but the overall number of strays is still not low as far as I can see, both dogs and cats. In a town where I lived a few years ago, they used to poison the cats just so that there were less strays, so heart breaking and inhumane! 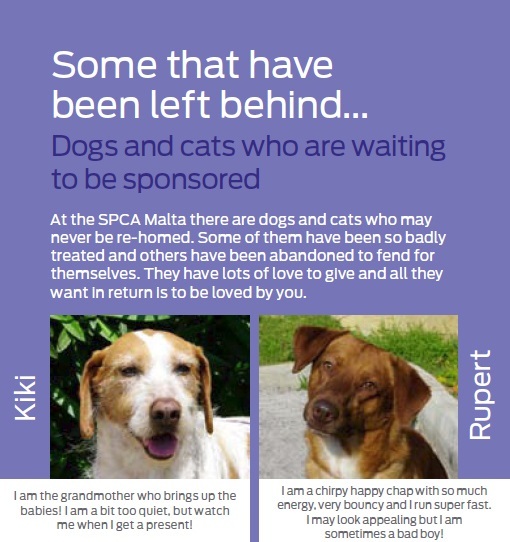 There's still lots to be done, but I have to give Dogs Trust in Malta a big kudos for a job well done and the SPCA for doing the best they can. And then there's also Happy Paws, which is all voluntary work and neuters many cats and dogs for free each day. I'm sure I'll find out some more info on what the state here in Malta really is since we're getting involved now.